Welcome to 5-304! The absolute best top floor corner unit in the entire complex! This unit has the most incredible jaw dropping views! Enjoy a meal or drink in the best that Surf & Racquet has to offer! You can't get views better than this one! Sunbathe in the most private area available on the coast! 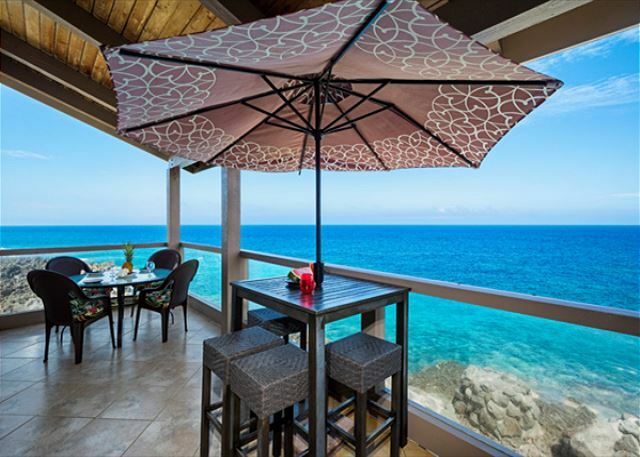 In your own world on this lanai! Unit 5-304 has undeniably the best corner view in the entire complex. 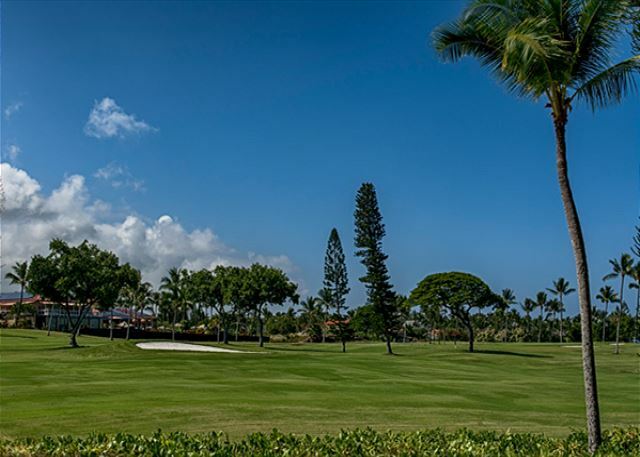 You have the BEST expansive panoramic ocean & golf course views one could ask for. 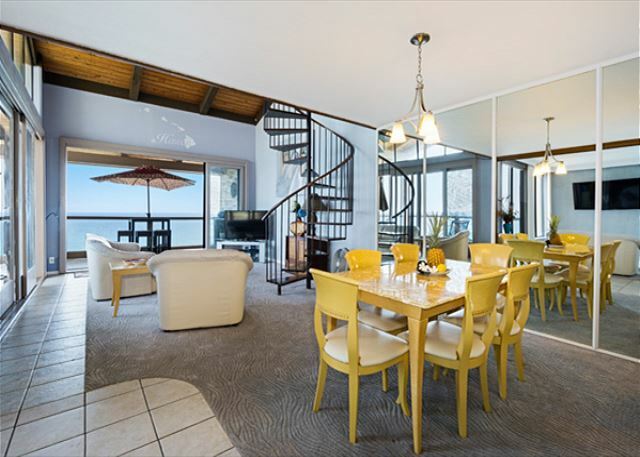 The stairs go to the upstairs loft where there is a King Sized bed & bathroom with walk in shower! BRAND NEW REMODELED KITCHEN COMPLETED OCTOBER 2017! GORGEOUS!! 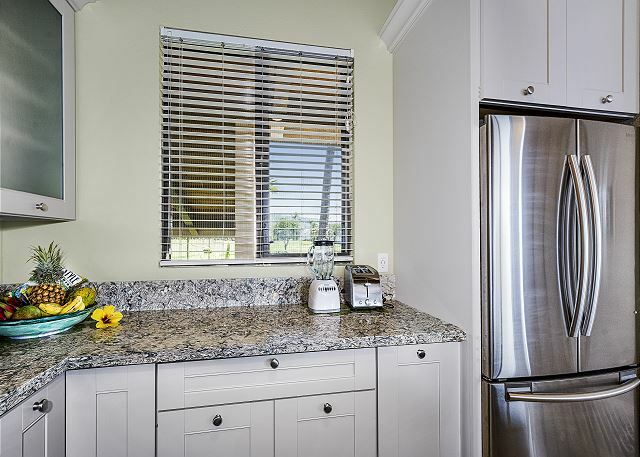 This amazing new kitchen has everything you'll need! 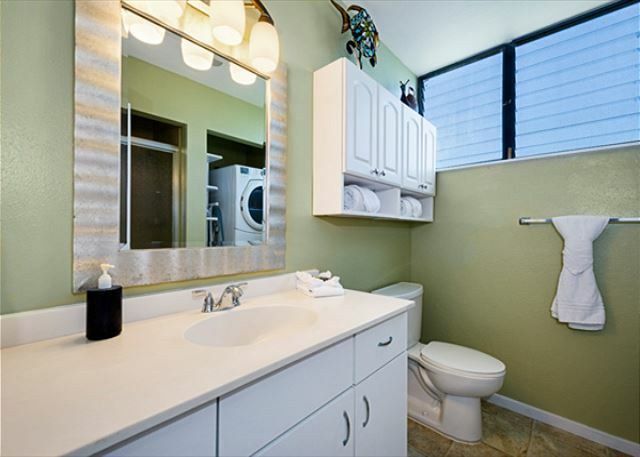 Brand new appliances, cabinets, flooring, countertops. Fully equipped, even with a Wine Cooler!! 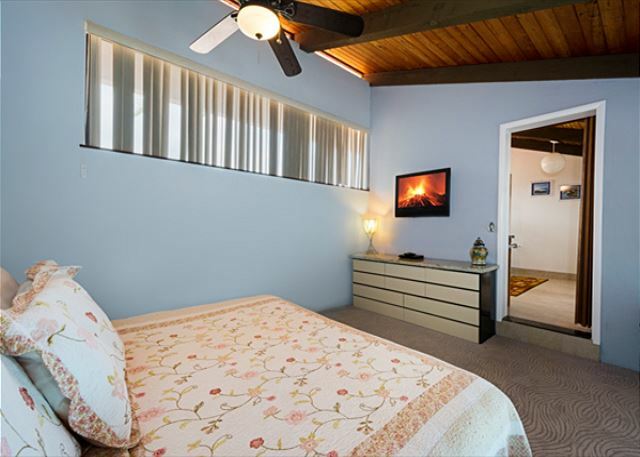 This room has a wall mounted pull down Queen Sized murphy bed on the wall, to the left of the TV in this photo. 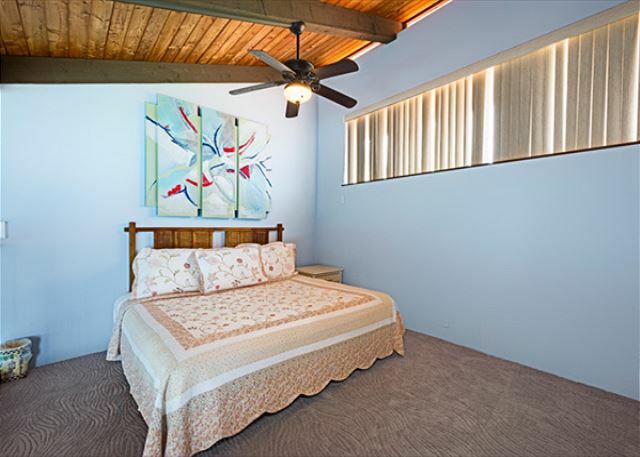 There are shoji doors that can be used to make this a private 3rd bedroom if you wish! Hallway leading from the 3rd bedroom to the downstairs bathrooms and master bedroom. Every room has it's own bathroom! 3 bedrooms, 3 bathrooms! 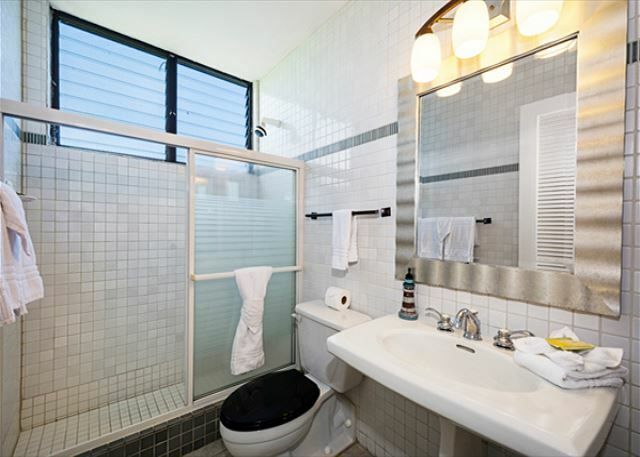 This is one of the downstairs bathrooms. One of the 3 bedrooms. This is downstairs. Golf course & Ocean views! 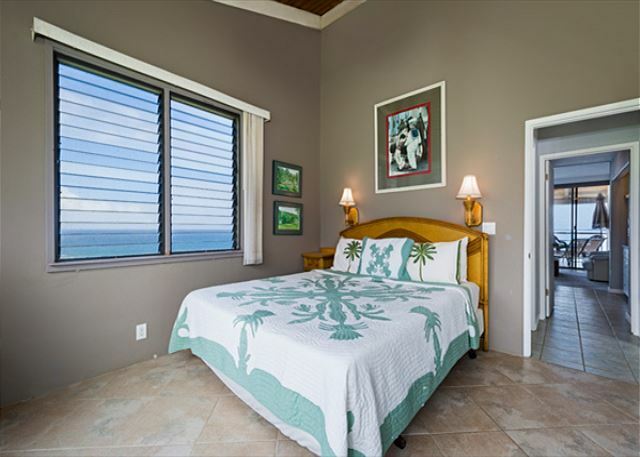 This bedroom has a great King Sized bed featuring ocean views & golf course views! The most private feeling! 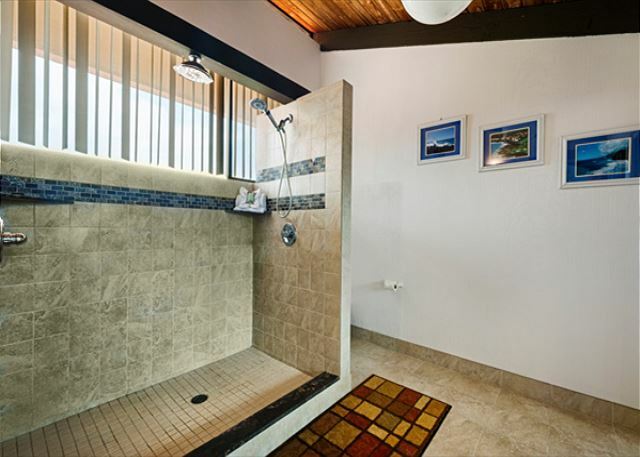 1st bathroom downstairs has a full sized shower. Upstairs Loft has a comfortable King Sized Bed! 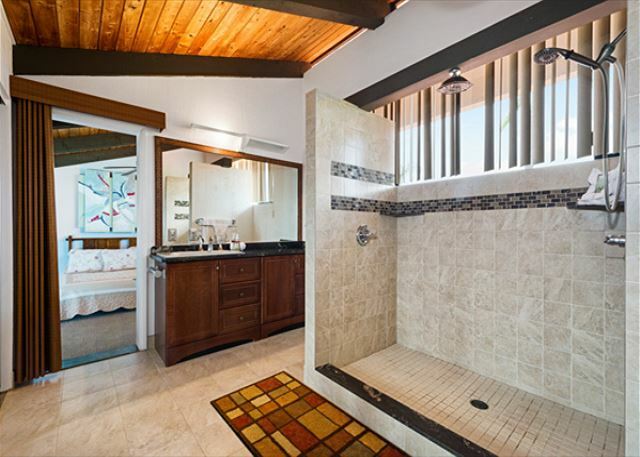 Master bathroom in Loft upstairs features walk in shower. 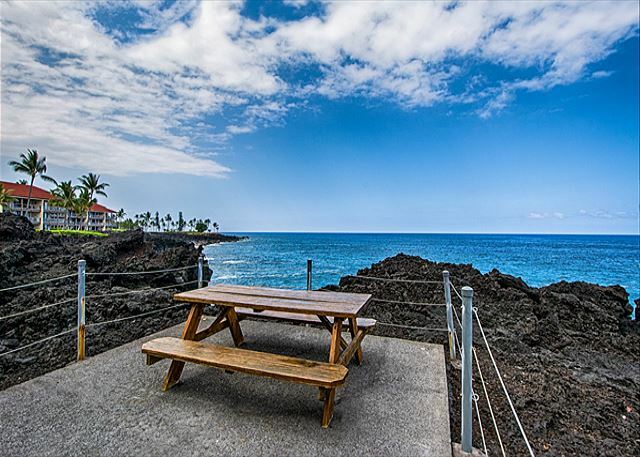 Have a small picnic, direct oceanfront! Magic Sands Beach! 5 minutes down the road! Gorgeous White sands beach. Another picture of Magic Sands Beach! The closest white sands beach to the complex! 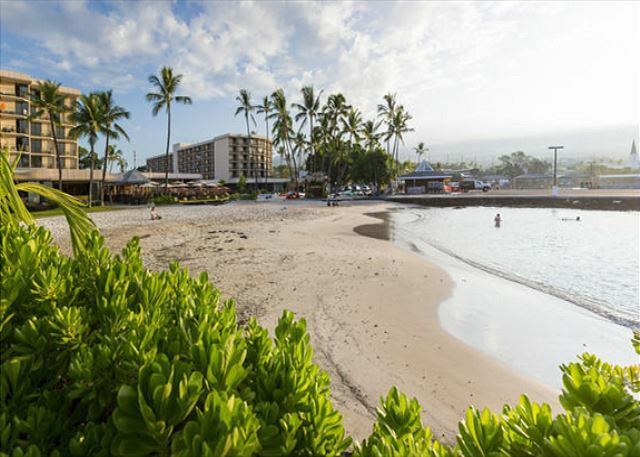 Kamakahonu Beach is another great beach that's very close to the complex as well! 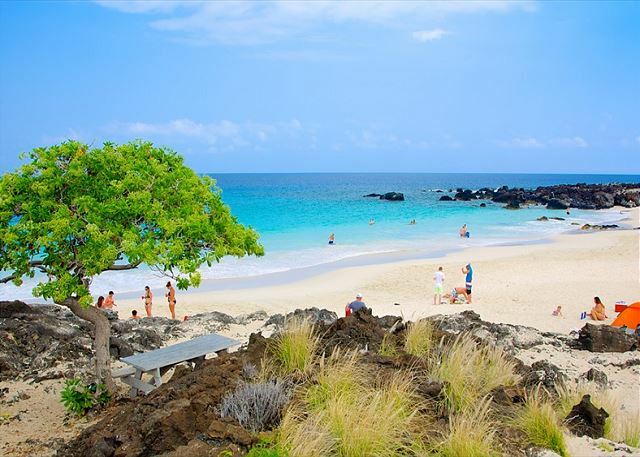 Gorgeous Kua Bay Beach up north, short drive from complex! 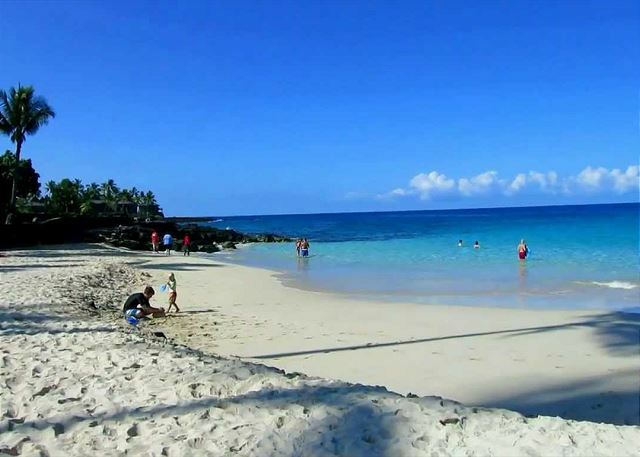 Another Shot of the gorgeous Kua Bay Beach where locals love to go! 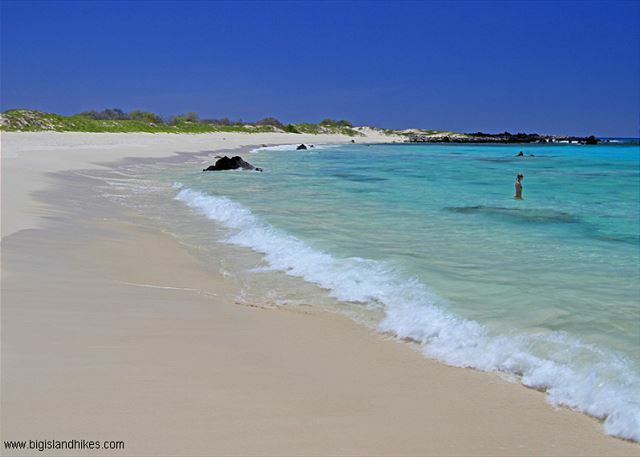 Makalawena Beach is another amazing white sands beach, short drive up north from complex! Right near all the action but away from the traffic noise.Corner suite with the best views. The condo exceeded our expectations. The Knutson staff was superb and helpful and were pleasantly surprised that they checked on us the first day. The accomadations were comfortable, and the ammenties and grounds were excellent. I would definitely recommend this condo. The only negative was NO air conditioning, days and nights were pretty toasty. Mahalo for the review, Teri! 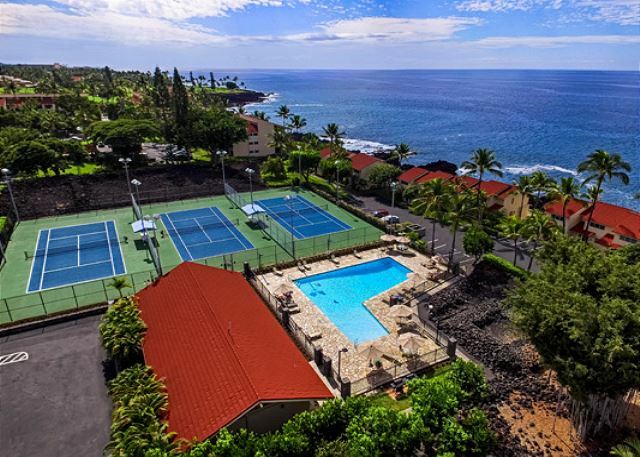 We're happy you enjoyed your time at Keauhou Kona Surf & Racquet! We're sorry to hear that you found the temperatures harder to deal with, but do state if any of our units have A/C available. We would be more than happy to assist you in finding a unit that does have A/C or better suits your needs for your next visit. 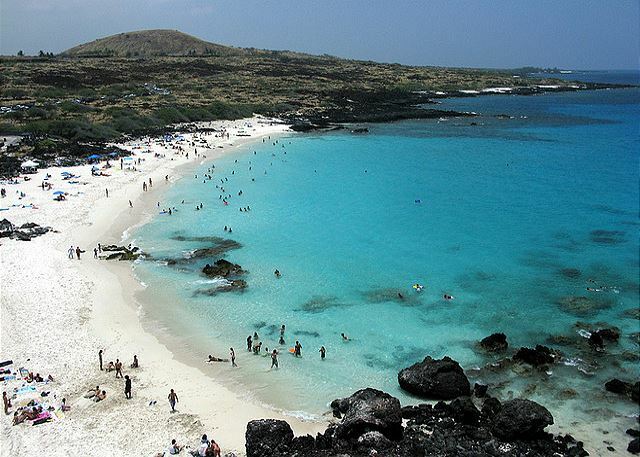 Mahalo nui loa and we hope to see you soon! Aloha Margaret, thank you for staying with us and leaving such a great review. 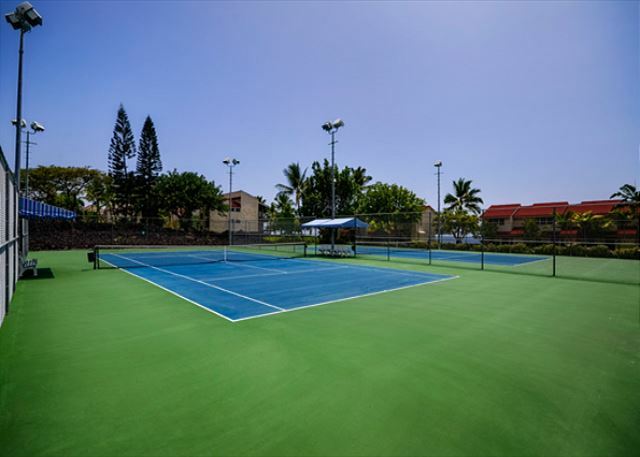 Keauhou Kona Surf & Racquet Club is a wonderful complex, and it's nice to hear that your expectations were exceeded. Mahalo & we hope to see you again soon!! Condo was perfect for our family of 6. Kitchen had all we needed and there were plenty of towels. Couldn't have had a more beautiful view. Being on the ocean there was some rust - to be expected. We did have a few tiny ants and management offered to bring traps over asap. They responded to all my questions quickly. My second stay in this complex and the 4th time I have rented from Knutson. Will definitely use them again. 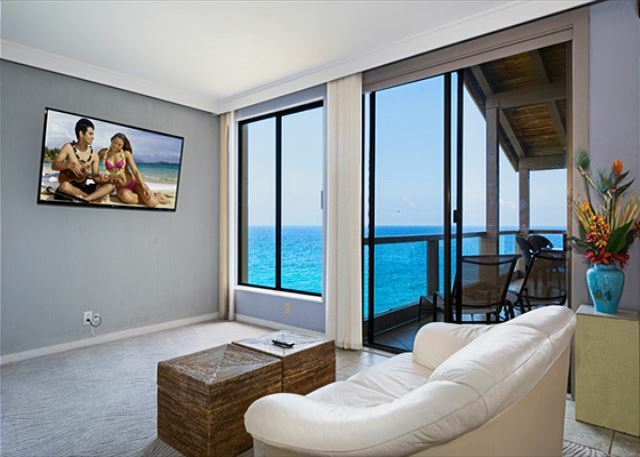 This unit has the best view on the property— it was like being on a cruise ship with floor to ceiling views of the beautiful ocean below. There is no AC but with the windows open and al the fans you don’t need it. And you can let the sound of the waves crashing below put you to sleep! 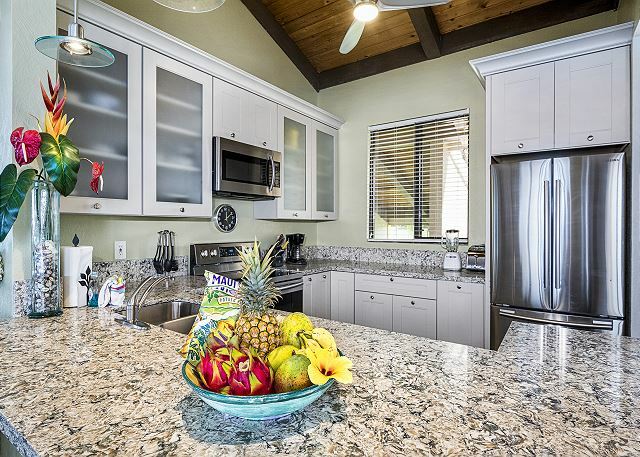 The updated kitchen was nice, plenty of beach towels, convenient washer and dryer. Located near a shopping center with a grocery store and Long’s Drugs. Roughly 15 minutes from “downtown” Kona. The rental agent was super helpful and responsive. Really a lovely condo! It was a great location, probably the best we have had and probably the best in the complex. The rental was more than adequate, but the apartment needed some updating in several places. There is no AC, so we used fans, however a couple didn't work. Relaxing enjoyable spacious condo to stay in. Great layout of rooms and space. 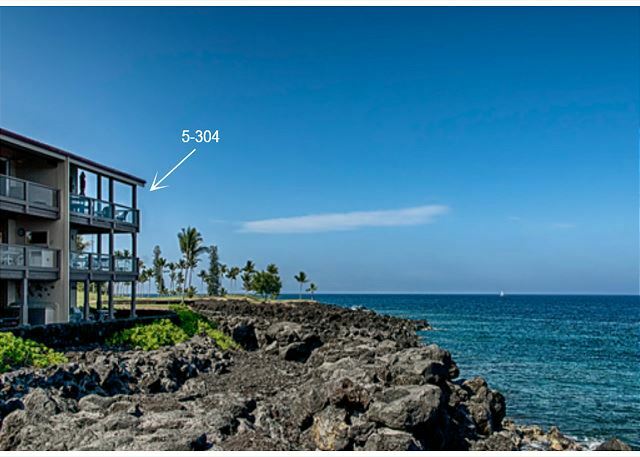 This condo is the very best location in all Hawaii. Sitting on the balcony watching the whales and porpoises was the best. My son and his wife and my best friend and his all agreed that this was the nicest place that we have found anywhere in Hawaii. This is a 5 STAR location for sure. Our experience with this property was incredible. 3 couples stayed for a 3-day weekend in advance of our son's wedding. 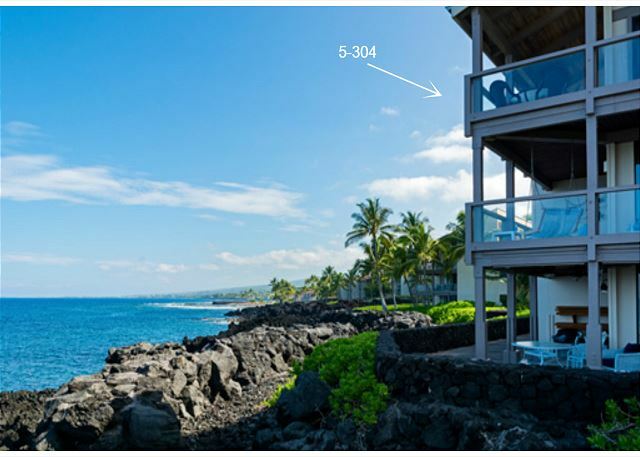 I doubt there is a better location for a 3 bedroom short-term rental in Kona. Everything was as listed, all in great working order. Knudsen & Associates were great to work with. The place was truly breath taking,it had everything you could want or need. The view of the ocean was amazing,we can't wait to go back. Best views ever. Waves splash against rocks right underneath the balcony. They were so powerful that sometimes the whole house shook. Absolutely amazing. Condo is very well equipped and maintained. We cooked all of our meals and appreciated the stocked pantry and full range of kitchen gadgets. There were three sets of snorkel gear and lots of other beach equipment. The area with the Murphy bed can be closed off from the living room with sliding doors, a very nice feature. The rental company sent lots of emails with rules and weird announcements, e.g. there would be only one roll of toilet paper and early check in was absolutely not possible, but that all meant nothing. There were plenty of supplies, and we could enter the unit a bit early when the cleaning people were done. They wanted us to download an app that is bloated with apps and that you don't need. Just ignore the fuss and enjoy the condo. 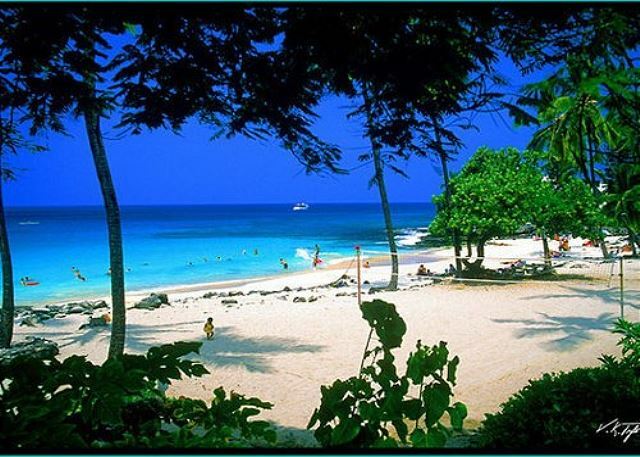 Great snorkel beaches and a nice shopping center are short drives away. Swimming pool on site was nice but nothing special. There is a little beach with sheltered pools for kids at the northern end of they property, accessible without a car but not that great compared to the other options. Overall, the experience was better than expected, we had a spectacular vacation! The location and view was incredible!! We could have sat on the deck all hours watching the crashing waves. Our only regret is that we didn't book it for our entire trip. The pool was perfect too. We told the manager about a few items needing repair. The maintenance guy showed up an hour later. You won't regret staying here. Listening to the sounds of the ocean rolling onto to the rocks was awesome. 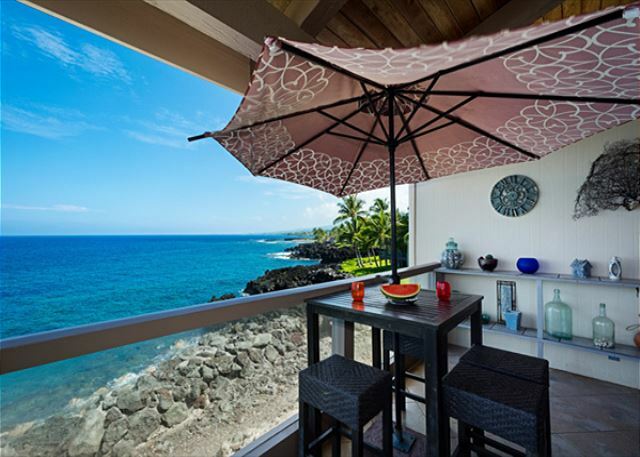 Enjoying our coffee in the morning and drinks in the late afternoon on the lanai made our stay in Hawaii very special. Blake was very quick to remedy the few glitches we had in the beginning of our stay so that things went very smoothly. Great views from really nice complex. Knutson was great to work with. Unit was clean and ready. Price very fair for how nice it was. We had such a great time in Kona, Hawaii. Taking part in IronMan World Championship 2016 was amazing and our stay in condo 5-304 made this trip one we would never forget. With our party of 4 we enjoyed this place so much. Having breakfast & Lunch almost every day on the balkony. Seeing the dolphins swim by and jump out of the ocean. 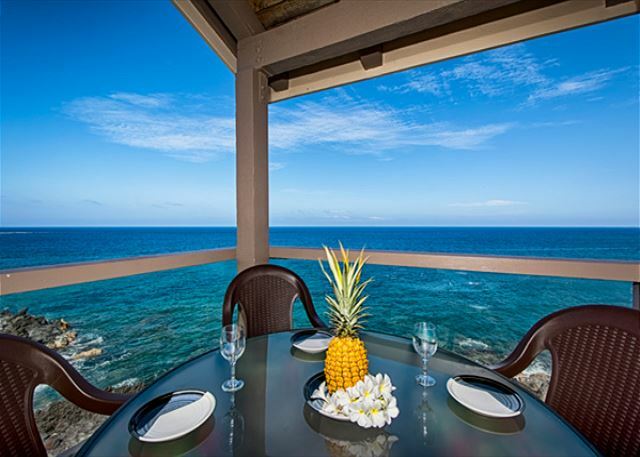 Eat, live & sleep with the ocean breeze is unforgettable. 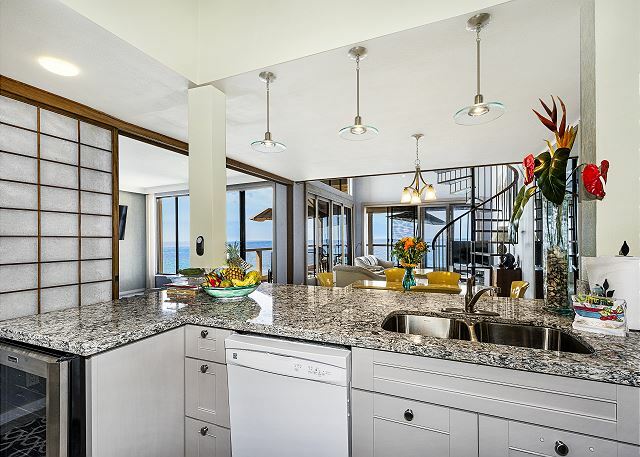 Besides this the condo was clean, everything worked, plenty of space and de ocean view breathtaking. Thank you so much for recommending this place to me. I rented this condo for myself and my brother, to get in some swimming, biking and running training time. 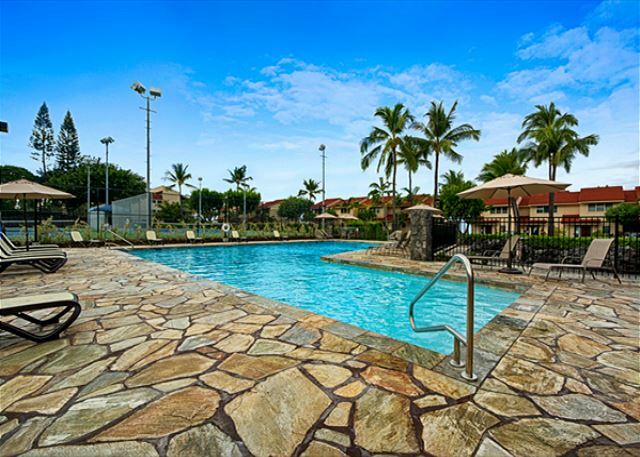 The location of the condo was perfect, at the far end of the complex, quiet, private, with the golf course and the ocean both a stones throw away. 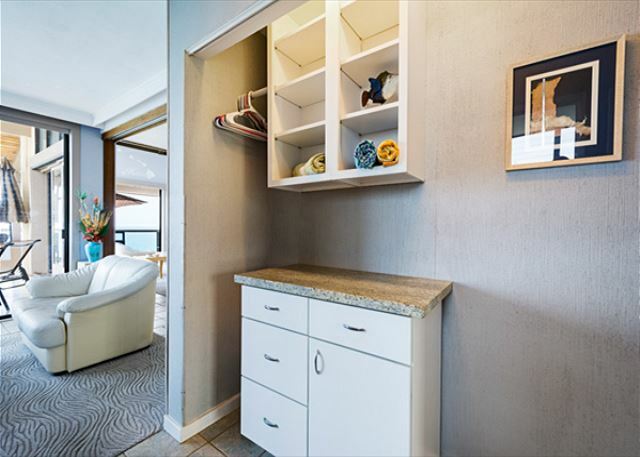 The condo is in great shape for its maritime environment and salt air. 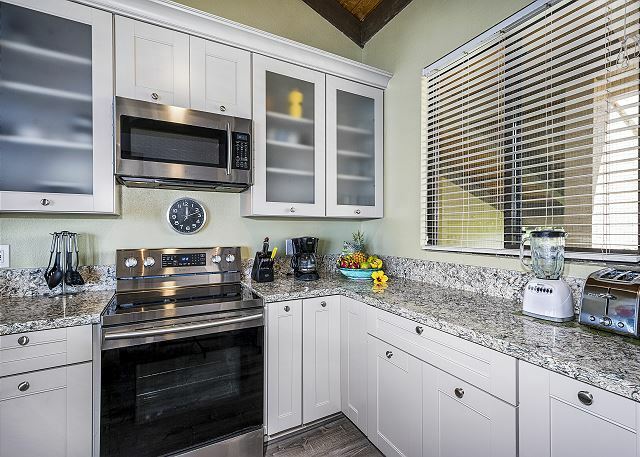 Good selection of kitchen appliances and amenities; blender, toaster, coffee maker, pots and pans. Clean, with very few bugs. The "no smoking" in the entire complex was a very appreciated. Beach towels provided was also unexpected and quite nice. The master bathroom is palatial with new fixtures. Very relaxing to see and hear the waves. We truly enjoyed our time at the suite and would stay there again. You think you are going to have a good view when you rent this place but believe me, it is even better in person! What you don’t see in the pictures is the crashing surf (and believe me, it CRASHES! Sometimes the whole unit shakes when the waves are big!) 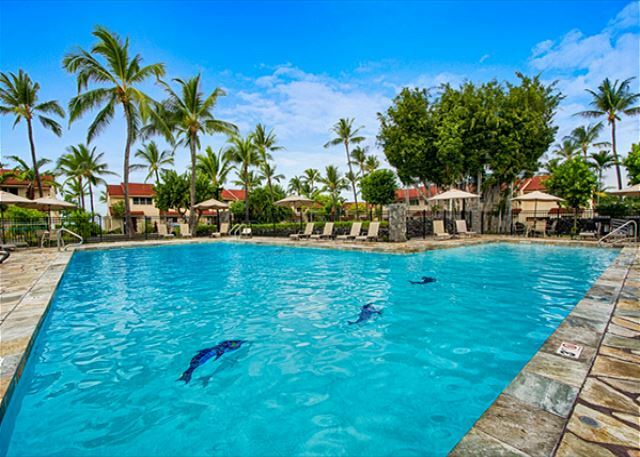 OR that you may be treated (as we were) to a daily show of dolphins and whales right off your lanai. 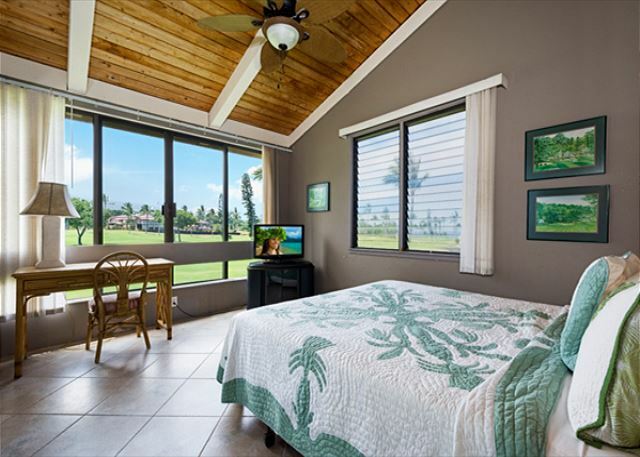 With 3 bedrooms, 3 bathrooms, the huge lanai, nice living area, and even a washer and dryer, the unit was very comfortable for our group of 3 couples. Being an end unit it feels more like you are in your own house than in a condo. 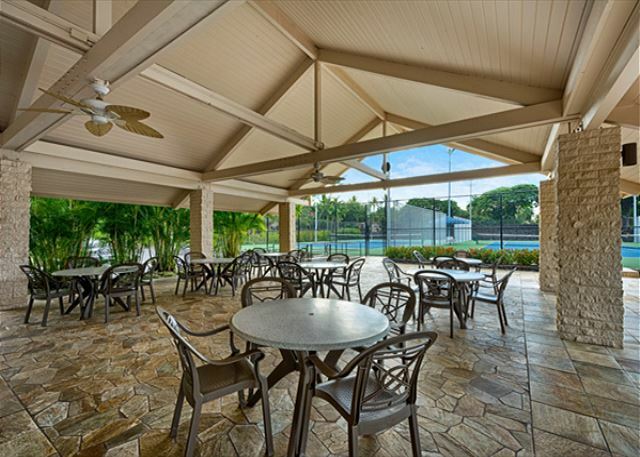 We loved the amenities at the complex – BBQs, tennis courts, pool and lovely, well tended grounds. Being able to walk 10 minutes up the hill to get groceries or 10 minutes the other way to snorkel was wonderful. We were initially concerned by some of the reviews that said it wasn’t clean, that things were rusty, there were bugs coming in, etc. I am pleased to report that we didn’t have any bug issues and that the condo was perfectly clean. Not all of the kitchen appliances, dishes, pots and pans, etc were spanking new but was clean. We were thrilled to have the ‘fun’ equipment in the condo to use (cooler, boogie boards, beach shoes, tennis racquets, beach chairs, etc.). The deck furniture was a bit rusty but this is not a slight on housekeeping or that it was old – for the 11 days we spent there the surf was high and the lanai was getting a regular dousing of misty salty air. In that environment I am afraid that the rust is unavoidable. As far as we were concerned, it simply wasn’t an issue. We did have one small electrical issue (power didn’t work in one of the rooms) while we were there. We phoned Blake and he attended to it immediately – a fellow came by within 15 minutes to check it out for us and then arranged for an electrician to come by and fix it. We felt well taken care of! Wow!! This condo is the BEST one in the entire complex. Absolutely spectacular views, complete privacy. In amazing condition. We were initially concerned from a couple prior reviews, but we can see the cleaning standards have been raised significantly. It was very clean, and we had no maintenance issues. THIS IS THE BEST PLACE TO STAY! Amazing. We will be back next year!! THANK YOU FOR making our stay perfect!! The view from the lanai was splendid. I have stayed ocean view room at Waikoloa 3 years ago, but I think that this time is much more wonderful view from lanai. Disappointing point is at night, many insects enters the room and we were chased for the extermination of the insects. There is the screen door, but there is a gap between grass door, then insects enters. I was worried about not being clean . I think that it needs more education of house keeping to keep room more clean. I thought that I could lend it at a higher price if performed the invasion of the insects and the cleaning of the room more carefully. For this purpose, I think that it needs whether completely maintain a screen door or introduce air conditioning to completely shut up the door. 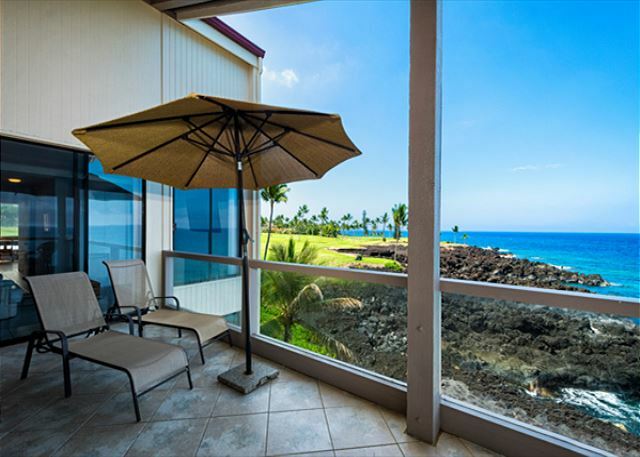 The views from the lanai and all the rooms in the condo were more than expected. Falling asleep and waking up to the sound of the ocean and crashing waves... Condo was great with lots of room. 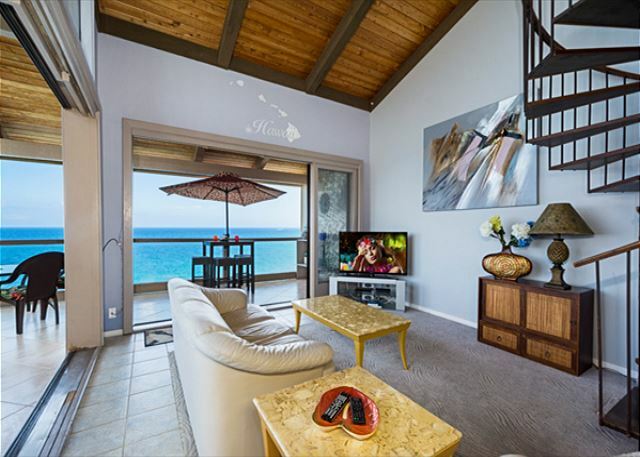 Make sure to open all the doors on the lanai and the condo is very comfortable even without central air. Central air would also improve this unit even more. little walk from car to unit and some stairs up on third floor, but well worth the location. Wonderful time, great rental. A perfect location for whale watching and relaxing. The condo was spacious and nicely decorated. We wanted a ocean view, and we probably got the best one on the island. It was a great place to stay for two families. Thank you for a wonderful experience on the Big Island. We spent a week with 2 other couples on this property. The view from the lanai was spectacular. The unit was very clean. There is not 3rd bedroom separate from living area however there are sliding doors to close off from the living area. There is 3 bathrooms which was wonderful to have. You need to enjoy the sound of the ocean because you hear it all the time which we loved. There are something's that need repair such as sliding screen on lanai and the lanai chairs have some springs that are wore out. It is a walk com the parking lot and up 3 flights of stairs but the view and the unit is worth it. Loved our stay. 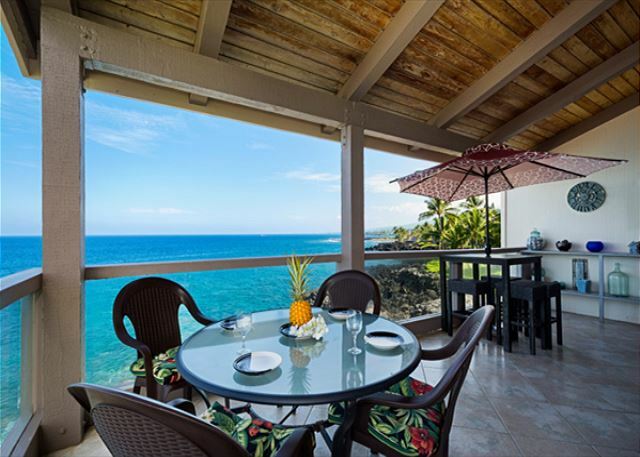 If you love oceanfront, this is the best! Any closer we would have been in the ocean. Nick at Knutsen was wonderful to work with and yes we rebooked for next year! Property was reasonably clean, but cleaners were not done by check in time. Chairs on deck are dangerous and should be replaced - they fall over if you lean back (springs are worn out - nobody in our party over 170 lbs). Otherwise a great unit. We had a wonderful experience staying in this condo. The views were indescribable....ocean on one side and Kona paradise on the other side. Knutson & Associates were VERY accommodating, friendly and professional. Thanks for everything! Mahalo! Was there for a month and the location is AAA+ but unexpected noisy construction commenced in the 2nd week and continued for 2 more every weekday. Knudsen and Owners were great and adjusted rent. A truely memorable retreat. It was very accomadating to our party as it had two king beds and two full bathrooms. Our children were enchanted with the geckos and the lanai and view from it are amazing. If you were any closer to the ocean you would be in it. Make sure you like "white noise" of waves crashing while sleeping. Also it is a very save location for young children to walk to and from the car. We can't wait to return. A door on the master bath would be nice for some privacy. A few of the sliding screens and glass doors need some lubrication or cleaning the rails. Great place to stay for a family. Nice pool. excellent location, great surroundings, friendly helpful staff. The unit could use an update to some worn furniture and fittings. 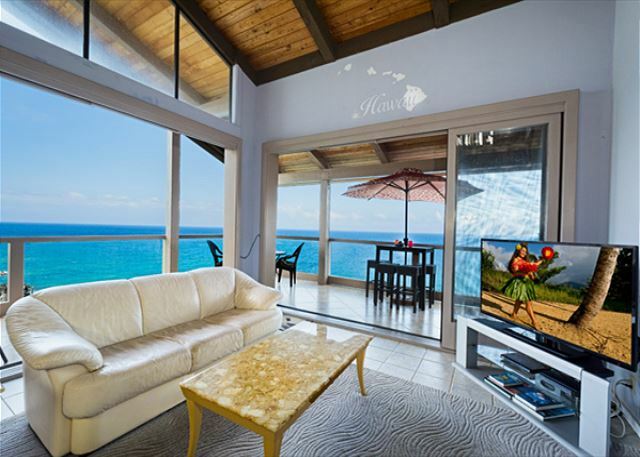 This has to be the best ocean view of any rental. 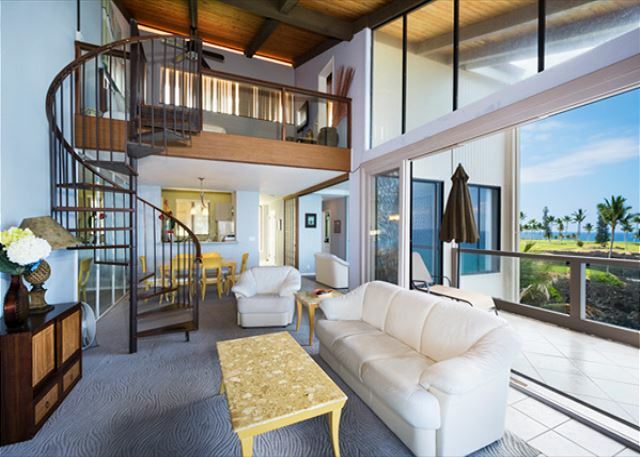 You'll never want to leave the lanai.